The Los Angeles County Board of Supervisors voted unanimously on Feb. 5 to approve a proposal by Supervisor Janice Hahn, 4th District, and Supervisor Sheila Kuehl, 3rd District, to explore the creation of a new Los Angeles County department focused solely on serving the county’s older adult population. 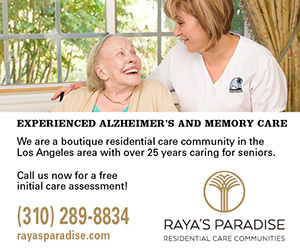 Los Angeles County’s population of older adults ages 60-plus is skyrocketing, she said. The county is home to a quarter of the state’s older adult population and is expected to reach 3.6 million individuals by 2030. Currently, there is no singular county department tasked with caring for older adults. The fragmented approach makes the development of an overarching vision or strategy impossible, and makes it harder for older adults to access all of the diverse services they need, Hahn added. The motion requested the county’s chief executive officer to report back in nine months after studying the feasibility of creating a department for older adults, as well as determining what programs and services for older adults currently being performed by the county could be consolidated into a single department. The motion also proposes working with the city of Los Angeles City Department of Aging to determine whether Los Angeles’ two Area Agencies on Aging could be incorporated in the proposed county department. Laura Trejo, who testified at the board meeting on behalf of the city of Los Angeles, expressed Mayor Garcetti’s support of the proposal.